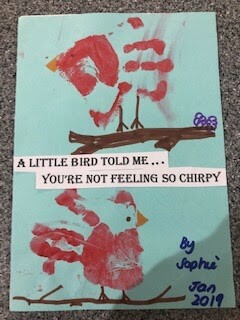 Very interesting card from your daughter. A very nice idea to form with the little ones. I hope your grandmother will heal soon! This is such an adorable idea! Thanks for sharing your Creative Card with us at H2H challenges.